Following the events of September 11, 2001, global attention to the phenomenon of terrorism intensified with states becoming more acutely aware of the growing threat. The US initiated its “war on terror,” swiftly leading the world in counter-terrorism efforts to thwart future attacks. But although the United States was the victim of the 9/11 attacks that changed the global perspective on terrorism, the phenomenon is still a global one involving nations beyond those under immediate threat. Terrorism also presents a broad challenge requiring a counter-response from military, ideological, financial, educational, and diplomatic angles. Given the vast scope of the threat, the only way to effectively fight terrorism is through international cooperation. Just like any international challenge, it must be addressed by international efforts within and across the various fields of focus (Ganor, 2005). In particular, the fight against terrorist financing is one in which international coordination is especially vital in the long-term battle against terrorism. Terrorists maintain large transnational networks that raise funds from a variety of sources, both illicit and legitimate, and transfer those funds through various, often discreet and informal, channels (Bantekas, 2003; Basile, 2004; Waszak, 2004; Raphaeli, 2003). Targeting those networks attacks terrorist organizations at their source. Without funding, these organizations cannot hope to sustain activities be it military, ideological or logistical. Investigations into financing networks can also aid other fields of counter-terrorism by shedding a light on the internal workings of organizations. This better equips states engaged in military or diplomatic efforts, making Counter-Terrorist Financing (CTF) an even more vital component to overall counter-terrorism strategy (Dalyan, 2008). With terrorist networks set up on a global scale and cells raising funds even in the United States and other Western nations, the approach to terrorist financing networks must be global. And while international efforts have increased in scope and coordination since 9/11, without a universal definition of terrorism, attempts to uniformly address the financing of terrorism are inconsistent and stagnant with often-mixed results (Dalyan, 2008). Meanwhile, the financial networks of organizations like Al Qaeda are still finding ways to thrive (Basile, 2004; Waszak, 2004; Dalyan, 2008). This study seeks to examine the complexities of terrorist financing networks and the international and regional efforts to combat these networks in the post-9/11 age. The first section will provide an overview of the sources and channels of terrorist funding including formal and informal methods. The second section will then provide an overview of international and regional cooperation efforts to target those channels and sources including intelligence sharing, increased transparency, and international recommendations that rely on state compliance. The final three sections will assess these efforts and examine the challenges of international cooperation in the area of Counter-Terrorist Financing (CTF), then provide recommendations and conclusions for a stronger international regime to combat terrorist financing networks. Terrorist organizations require funding in order to sustain military activity and operations including training, weapons, and logistical expenses such as transportation and food with further funding required to continue propaganda (Clunan, 2006). Still, relatively speaking, terrorism is inexpensive. The 9/11 attacks reportedly only cost around $500,000 (Basile, 2004; Waszak, 2004; Dalyan, 2008; Passas, 2006), the Madrid bombings cost less than $10,000, and the US embassy bombings in Kenya and Tanzania cost less than $50,000 (Passes, 2006). With such a low budget required to carry out attacks, terrorist financing networks are particularly difficult to detect and track. Terrorist groups have found a variety of elusive sources for funds and esoteric channels to transfer those funds to group leaders. Primary sources of funding include state sponsors of terror, like Iran, or private actors. Coming from private actors, terrorist organizations raise funds through a plethora of sources ranging from Islamic charities to drug trafficking and fraudulent businesses. These funds and the sources from which they originate are extremely difficult to detect, especially those coming from legitimate sources (Bantekas, 2003). Although on the decline in recent years, state financing of terror still constitutes a significant source of funding for terrorist organizations. State finance of terror includes providing terrorist groups with political support, weapons, funds, and sanctuary for terrorist activity within state borders (Bantekas, 2003). In the past, Libya, Iraq, and North Korea were included on the list of states sponsoring terror. Today the US Department of State has designated four countries: Iran, Sudan, Cuba, and Syria as official state sponsors of terrorism (U.S. Department of State, 2011). Iran, perhaps the most notable, is a known supplier of funds, training, weapons, and safe haven for Lebanese terrorist organization Hezbollah, Gaza-based Palestinian terror group Hamas, and others. Cuba, while not directly funding terrorist groups, has provided safe haven for organizations such as FARC and the ETA, allowing them to freely carry out both military and financial activities. Syria continues to provide support for Palestinian terror groups and serves as a channel for Iran to transfer weapons and funds to Lebanese Hezbollah. It also permits the external leadership of groups like Hamas, and Palestinian Islamic Jihad to maintain bases within its borders. Sudan, however, seems to be improving its efforts to the terrorist presence in the country though it does still maintain a political relationship with Hamas and Palestinian Islamic Jihad (U.S. Department of State, 2011). Interestingly, Saudi Arabia is not on the list of state-sponsors of terrorism. While the Saudi government may not be providing direct funds to terrorist organizations, it does not prohibit citizens from donating money to organizations like Hamas or Hezbollah, nor does it regulate non-profit organizations that often funnel money to terrorist organizations. Hamas receives an alleged 50% of its yearly budget from Saudi Arabia (Waszak, 2004). Despite the decline in state activity of sponsoring terror, states that still do, continue to be formidable obstacles in the fight against terrorist financing. A particularly lucrative and illicit source of funding for terrorist organizations is drug trafficking, otherwise referred to as Narco-terrorism. Known organizations engaged in these activities include FARC, The Taliban, Al Qaeda, and the KLA (Bantekas, 2003). While drug trafficking is the primary form of unlawful funding for terrorist organizations, Bantekas (2003) explains that organizations also engage in extortion, fraud, robbery, and smuggling. The funds from these activities are transferred to the legitimate economy through money-laundering techniques, which made the sanctions committee created by UN Security Council Resolution 1333 designed to freeze potentially illegal imports and exports ineffective. Organizations like the Financial Action Task Force on Money Laundering (FATF) are equipped to trace the funds laundered back to terrorist organizations but the FATF did not include terrorist financing in its mission until after the September 11 attacks. Prior to the attacks, it is no surprise that Afghanistan, through the Taliban and Al Qaeda, was a major global producer of opium (Bantekas, 2003). Terrorist organizations are also known to employ front businesses to raise and transfer funds. Two common and effective industries used by terrorists are the diamond and gold industries. Terrorists are able to transfer money into diamonds and/or gold to be smuggled across borders. Both Al Qaeda and Hezbollah have engaged in the marketing of conflict diamonds from Sierra Leone and Liberia that can be easily smuggled in order to protect financial assets. INTERPOL also revealed that Al Qaeda and Hezbollah are engaged in the sale of counterfeit consumer products as another source of revenue to support terrorist activities. The practice of counterfeit consumer sales is not uncommon, however this is the first time that such activity has been linked to terrorism (Raphaeli, 2003). Perhaps the most common source of funding for terrorist organizations is Islamic Charities through the Zakat. Zakat, one of the five pillars of Islam, requires in lieu of an income tax, that Muslims in countries like Saudi Arabia donate a percentage of their income to a charity of their choice (Raphaeli, 2003). In Saudi Arabia in particular, there is very little oversight so it is fairly easy for charities to funnel their money to terrorist organizations (Waszak, 2004). Most charities are legitimate organizations so the few that have close ties to terrorist groups are difficult to detect (Basile, 2004), while those that do have ties often also provide legitimate humanitarian relief (Roth, Greenburg, and Wille, 2004). Islamic charities are able to fund terrorism on a global scale. For example, Saudi charity organization, the International Islamic Relief Organization (HRO) has been used by Al Qaeda to fund activity in the Philippines an in Chechnya (Raphaeli, 2003). The case against Ennam Arnaut, manager of Islamic charity, the Benevolence International Foundation (BIF) reveals the extent to which Islamic charities have been funding Al Qaeda. Basile (2004) explains that charities such as BIF put aside money to be used for legitimate charitable projects while taking 10% of the cash and passing it off to Al Qaeda. The case brought up against Arnaut by the US government for conspiracy and racketeering revealed that BIF was also involved in facilitating travel of Al Qaeda founding members under the auspices of the charity as well as transferring large amounts of money to bank accounts abroad and eventually into the hands of terrorist leaders (Raphaeli, 2003). Through the Zakat, Saudi Arabian charities receive approximately $3.5 billion each year and Al Qaeda received an estimated $300-$500 million from these charities between 1992 and 2002 (Waszak, 2004). Beyond Al Qaeda, other terrorist organizations such as Hamas and Hezbollah run dubious charity organizations and NGOs as well. Because these charities are publicly run through the organization, donors do not know whether or not the proceeds are legitimately going to charity or to fund the terrorist organization’s activities (Basile, 2004). The varying channels used by terrorist organizations to transfer funds are often legitimate or informal, making tracking funds a problematic exercise. Many private individuals funding terrorist organizations transfer funds from legitimate sources within the banking system and according to Bantekas (2003), operating terrorist sleeper cells will raise money through legitimate means. These cells are composed of individuals and funds not directly involved in terrorist activity, but mainly operating on the periphery. The complex system of transactions between changing bank accounts makes the funds difficult to track, especially if the individuals making the transactions are not clearly linked to any organization. A more common method used to transfer funds from private individuals is the Hawala. The Hawala, ‘transfer’ in Arabic, is an Informal Funds Transfer System that allows terrorist organizations to transfer funds without the formality of a financial institution or bank (Raphaeli, 2003; Waszak, 2004; Basile, 2004). In this system, an intermediary, called a hawalader performs the transaction by instructing a fellow hawalader in the receiving country to pay the recipient in the local currency (Basile, 2004; Raphaeli, 2003). Terrorist organizations often rely on hawala for money transfers because it is more reliable and the most difficult to detect, as the cash transactions are never recorded. So far, only two of many hawala organizations used by Al Qaeda, al-Taqwa and al-Barakat, have been discovered (Raphaeli, 2003). Because this channel is not illicit, the only current way to oversee transfers is through formal regulation by the government, which can be challenging to attain in developing countries (Waszak, 2004). In addition, the Islamic Banking system was often used to transfer money, although now less so. Because of the religious nature of the banking system, the banks operate with their own regulations on money laundering. Terrorist organizations utilize the Islamic Banking system to transfer Zakat funds, which are not recorded and easy to move (Raphaeli, 2003). According to Waszak (2004), Osama bin Laden purchased control of the al-Shamil Bank in Sudan and used that system to transfer funds to Al Qaeda cells around the world. However, today, many central banks in countries with operating Islamic Banking systems have introduced regulations in an attempt to prevent money laundering (Raphaeli, 2003). Terrorist financing networks present a distinct opportunity to the international community to cut terrorist activity from the source. But because funds are so difficult to detect and track, they also present a distinct challenge. The following section provides an overview of the international and regional frameworks set up by the global community in an effort to combat terrorist financing. The foundation of the global fight against terrorist financing lies in the International Convention for the Suppression of the Financing of Terrorism adopted by the United Nations General Assembly in 1999 before the September 11th attacks. The Convention sought to criminalize the financing of terrorism on a global scale. Parties, specifically states, are required to hold liable persons and organizations involved in the funding of terrorist activity through their domestic legal systems (Bantekas, 2003). The convention defines terrorist financing as a criminal offense specifying an individual that “directly or indirectly, unlawfully and willfully, provides or collects funds with the intention that they should be used or in the knowledge that they are to be used, in full or in part” (International Convention for the Suppressing of the Financing of Terrorism, art. 2, 1999, n.p.) for the use of terrorist activity. It defines a terrorist act as one that is “intended to cause death or serious bodily injury to a civilian…to intimidate a population, or to compel a government…to do or to abstain from doing any act” (International Convention for Suppressing…, art. 2, 1999, n.p.). Later in Article 8, the Convention obliges parties to “take appropriate measures, in accordance with its domestic legal principles, for the identification, detection and freezing or seizure of any funds used or allocated for the purpose of committing the offences,” (International Convention for the Supressing…, art. 8, 1999, n.p.). This convention, although not universally implemented, marked the first formal international cooperation effort in the fight against terrorist financing. In 1999, the UN Security Council also took action against terrorist financing, specifically with regards to Al Qaeda. In UNSCR 1267, the Security Council created the Al Qaeda Sanctions Committee to maintain a list of groups and individuals linked to Al Qaeda and/or the Taliban and to oversee sanctions implementation. The resolution is binding under Chapter VII of the UN Charter and requires that all states “freeze the assets of, prevent the entry into or transit through their territories by, and prevent the direct or indirect supply, sale and transfer of arms and military equipment to any individual or entity associated with Al-Qaeda as designated by the Committee,” (United Nations, 2012, n.p.). In the weeks following 9/11, the UN Security Council passed Resolution 1373 in an effort to increase the scope and effectiveness of the international counter-terrorist financing framework. Resolution 1373 drastically changed the global perception and scope of responsibility in the sphere of terrorist financing. The resolution functioned as a mini-treaty that under Chapter VII of the UN Charter required all member states of the UN to adopt its provisions (Clunan, 2006; Bantekas, 2003). In its essence the Resolution restated the requirements set down by the 1999 Convention including the criminalizing of terrorist financing domestically and obligating states to freeze funds and assets of those directly or indirectly involved in terrorist activity (Bantekas, 2003). Notably the resolution does not specify the Taliban or Al Qaeda but targets all terrorist organizations in a more general mandate (Clunan, 2006). Additionally, Resolution 1373 established the Counter-Terrorism Committee (CTC) to serve as a monitoring body to oversee implementation of the resolution (Bantekas, 2003; Clunan, 2006). Member states were required to report to the committee on implementation progress and most countries, including Sudan, Libya, Iran, and Iraq had complied within months. Ultimately, Resolution 1373 has served as a platform fostering international cooperation between states to further CTF efforts (Bantekas, 2003). United Nations Office on Drugs and Crime (UNODC) also plays a role in the global fight against terrorism, and specifically in the context of terrorist financing and drug trafficking. In 2002, the General Assembly expanded the UNODC to include a new program, the Terrorism Prevention Branch (TPB). This program works to assist member states with technical and legal aspects of counter-terrorism while facilitating international cooperation. In the field of CTF, the UNOCD offers guidelines regarding the implementation of CTF measures as well as for international cooperation (UN Office on Drugs and Crime, 2012). The UNOCD “Guide for the Legislative Incorporation and Implementation of the Universal Anti-Terrorism Instruments” provides instructions on how to appropriately implement the measures required by states in UNSCR 1373 including freezing the funds and assets of terrorists, blocking of transfer of funds, and the issue of non-profit organizations such as Islamic charities (UN Office on Drugs and Crime, 2006). “The Manual on International Cooperation in Criminal Matters related to Terrorism” focuses on assisting states in coordinating efforts against terrorist financing reinforcing the obligations set down in paragraph 2 of Resolution 1373 concerning international cooperation. It includes state cooperation with Sanctions committee listing procedures and subsequent action, cooperation with INTERPOL intelligence, transparency between states concerning movement of capital and freezing of assets, coordination regarding confiscation of funds, and extradition protocol (UN Office on Drugs and Crime, 2009). While the UN has been instrumental in laying down the framework of international CTF, the Financial Action Task Force (FATF) is arguably the most important international organization fighting terrorist financing today through the work of the organization itself and through its ability to coordinate with other international and regional organizations (Bures, 2010). The FATF was created in Paris in 1989 at the G-7 Summit and was designed to target money laundering. Following 9/11, its mandate was expanded to include CTF initiatives and the FATF subsequently came out with Nine Special Recommendations on countering terrorist financing, in addition to the forty existing ones on anti-money laundering (Bures, 2010; Gardner, 2007; Bantekas, 2003). These special recommendations include the ratification of previous UN Conventions including the 1999 Convention and Resolution 1373, the freezing and confiscating of terrorist assets, international cooperation and sharing of vital intelligence, regulation of wire transfers and non-profit organizations, and strict border measures to target cash couriers transferring terrorist funds (Financial Action Task Force, 2012b). The FATF works to encourage compliance with the Nine Special Recommendations and has developed a methodology to assess state compliance. The FATF acts as a guide to states, providing instruction on the most effective methods to freeze assets and regulate non-profit organizations implicit in terrorist activities (Gardner 2007). The FATF today only includes thirty-four member states and two international bodies but the influence of the organization goes beyond its members to other international and regional organizations (Financial Action Task Force, 2012a). Through its self and mutual assessment processes, the FATF encourages stronger compliance and warns states of the consequences of noncompliance and failure to implement FATF standards. Still the level of compliance within the FATF is not perfect and it has been more successful in its fight against money laundering than against terrorist financing (Gardner, 2007). To target noncompliance of nonmembers, the FATF began the NCCT initiative for Non-Cooperative Countries and Territories in 2000. The function of the NCCT is to target the flaws in a particular countries’ Anti-Money Laundering (AML)/CTF system and to pressure them to reform that system through “naming and shaming.” By exposing countries that refuse to cooperate with FATF measures and applying appropriate pressure, the FATF hopes to improve international compliance and cooperation. 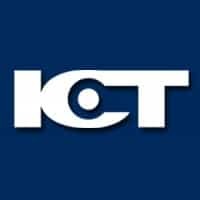 The NCCT is an informal process as countries are added and removed from the designated list with relative ease and there is no formal quantitative way to measure compliance. But if a country or territory fails to rectify their respective system, other FATF members are to make it difficult for individuals coming from NCCTs to make financial transactions by tightening identification regulations. The hope is that by creating a burden for NCCTs, those jurisdictions will cooperate (Gardner, 2007). Despite its imperfect record in terms of internal compliance, the FATF remains an international leader in CTF and the international community has expressed desire for a “global FATF.” CTF, while global, also differs in a regional context. Therefore many countries have joined FATF-style regional bodies (FSRBs) in regions such as Asia, Africa, and the Middle East. FSRBs serve as observers in the FATF and work with the organization to ensure implementation of FATF standards. Further, the FATF works closely with nearly universal international organizations, the IMF and World Bank that help expand the organization’s global reach (Gardner, 2007). Particularly, the IMF and World Bank have cooperated with the FATF to in assessment of AML/CTF efforts (International Monetary Fund and World Bank, 2006). Beyond its work with the FATF, the IMF primarily provides technical assistance to countries that may need aid in developing their AML/CTF frameworks (Thacker Kumar and Campbell, 2009). To provide such aid, the IMF established a series of Topical Trust Funds (TTF) to “finance technical assistance in AML/CFT” (International Monetary Fund, 2012, p. 2) and France, Luxembourg, The Netherlands, Saudi Arabia, Canada, the UK, and others have committed to provide millions of dollars to fund them (International Monetary Fund, 2012). Additionally, it held an Anti-Terrorist Financing Legislation Workshop for North Africa, and the Horn of Africa in 2005 and it continues to work with anti-terrorist states such as Pakistan (Thacker Kumar and Campbell, 2009). The International Criminal Police Organization (INTERPOL) also plays an essential role in countering terrorism and specifically CTF through its network of intelligence. INTERPOL’s Fusion Task Force (FTF) was created in 2002 and works to provide analytical support to international counterterrorism efforts (INTERPOL, 2012). INTERPOL has been most helpful in CTF concerning methods of money transfer. Through its wide membership, INTERPOL is able to collect vital intelligence in the tracking and detection of funds intended for terrorists (Financial Action Task Force, 2012c). The involvement and guidance of international organizations has proven instrumental in fighting terrorist financing networks as they lead and attempt to unify and direct member states in CTF efforts. Private banks and other financial institutions are heavily affected by CTF/AML measures. They too became active in CTF, thus enhancing transnational cooperation. Three of the major contributors to this cooperation are the Egmont Group, the Basel Committee on Banking Supervision, and the Wolfsberg Group. The Egmont Group was founded in 1995 by a group of Financial Intelligence Units (FIUs), which function as channels of information exchange for government authorities. The primary goal of the Egmont group is to “provide a forum for FIUs around the world to improve cooperation in the fight against money laundering and financing of terrorism and to foster the implementation of domestic programs in this field” (The Egmont Group, 2012 n.p.). Currently there are over 120 members of the Egmont Group (The Egmont Group, 2012). Basel Committee on Banking Supervision was established in 1974 by central bank governors of the G-10 (Bantekas, 2003) and is composed of members from twenty-eight countries (Bank for International Settlements, 2012). In 2001, the Committee released its recommendations on protecting the financial system against terrorist financing which introduced guidelines for best practices of Know Your Costumer (KYC) and Customer Due Diligence (CDD). It also emphasized the need for stronger international and transnational information sharing (Bantekas, 2003). The Wolfsberg Group, established in 2000, is made up of eleven global banks that work to develop private banking industry standards to fight terrorist financing and money laundering regimes (The Wolfsberg Group, 2012). The Wolfsberg Principles were first written in 2000 and serve as a voluntary code of conduct for private banks similar to the recommendations by the Basel Committee. They focus on improving CDD and client identification, which in the case of terrorist finances would help banks detect terrorist financial activity in their systems. One of the benefits of the Wolfsberg Principles is that the banks that commit to upholding them are required to apply these rules both home and abroad, including in centers offshore that are commonly vulnerable to use by terrorists (Pieth and Aiolfi, n.d.). In 2002 the group also published a Statement on the Suppression of the Financing of Terror that emphasizes the role of financial institutions in aiding their governments against terrorist financing. It specifically notes that KYC policies and identification procedures are instrumental and that group members will limit their relationships with remittance businesses and transfer houses that may be used by terrorists. Finally the statement commits the Wolfsberg group to monitoring suspicious transnational activity and expresses its support for the work of the FATF (The Wolfsberg Group, 2002). These transnational organizations and the standards they set are crucial in the fight against terrorist financing networks as they serve to produce results on an operational level rather than a legislative one. Following the events of 9/11, the European Council launched an Action Plan to Combat Terrorism in an attempt to foster cooperation between member states, emphasizing the importance of attacking terrorist funding. Then in March 2004, after the terrorist attacks in Madrid, European Heads of State and Government signed the Solidarity Declaration on Combating Terrorism, which again emphasized CTF as a major area of importance. Later that month, EU Council Secretariat created the Office of the EU Counter-Terrorism Coordinator to spearhead EU cooperation in its counter-terrorism strategy and to coordinate the different EU instruments necessary in the fight against terrorism and terrorism financing. The European Commission agreed that it was very important to maintain consistent EU-wide measures when employing sanctions to protect the free market economy. The FIU.Net initiative, started by the Commission in 2000 reinforces this concept. The initiative is designed to facilitate cooperation between the Financial Intelligence Units (FIU) of Member States in sharing information on money laundering but is also being used to share information on terrorist funding (Kaunert and Della Giovanna, 2010). The EU introduced its official Counterterrorism Strategy in November of 2005. The strategy is made up of four branches: Prevent, Protect, Pursue, and Respond, with the strategy against terrorist financing under “pursue” According to the strategy, the EU will expand upon asset freezing provisions set in place and to implement legislation on cash transfers and money laundering as well as to target wire transfers by terrorists. Further, the strategy addresses the issue of non-profit organizations, asserting the importance of financial investigations. Finally, Council stated that the EU would review its performance to ensure continued success (“The European Union Counterterrorism Strategy,” 2005). Separate from the Counterterrorism Strategy, the EU, also in 2005, passed its third Money Laundering directive, which specifically addressed CTF. This directive obliged Member States to implement FATF Recommendations on Money Laundering and the Special Recommendations on Terrorist Financing into national law. The Directive came into effect in 2007. Additionally, the EU developed two comprehensive lists of terrorists, EU Internal and EU External, each with slightly different legal status. The EU internal list refers to terrorists under the domestic jurisdiction of individual member states. To address this list, the EU calls for increased cooperation between member states. The EU external list is to be addressed by the European Communities through the freezing of assets and blocking of funding to those individuals or organizations. The EU has also adopted the UN List established by the Al Qaeda Sanctions Committee in UNSC Resolution 1267 and designed to target members of Al Qaeda and the Taliban. It has been criticized for its adoption of the UN List because it does not have control over listing/de-listing process (Bures, 2010). Finally, the Council of Europe, in 2005, introduced the Convention on Laundering Search, Seizure, and Confiscation of the Proceeds from Crime and on the Financing of Terrorism, otherwise known as the Warsaw Convention. The convention is the first international treaty that focuses on control and prevention of money laundering and terrorist financing. Its key message emphasizes the importance of quick access to financial information on terrorist groups and other criminal organizations to ensure success. It entered into effect in 2009 (House of Lords EU Committee, 2009). The creation of such an impressive and broad framework to combat terrorist financing networks reflects a European emphasis on the importance of CTF measures in the fight against global terrorism, but the tangible success of this framework is still in question. The United States, while not a regional organization, but a leader in the global fight against terrorism, has made significant efforts to combat terrorist financing and has collaborated with the EU to expand those efforts. Immediately following the 9/11 attacks, the FBI set up the Financial Review Group, which later turned into the Terrorist Financing Operations Section (TFOS). Today it functions as the FBI’s official investigative program in the arena of CTF as well as its link to international banking and intelligence communities. In addition, the Department of Justice created the Counterterrorism Section (CTS), a unit that pursues its own investigations on terrorist financing networks, while sharing intelligence and coordinating with the investigations of the TFOS to bring individuals involved in terrorist financing to justice. The CIA, addressing the challenges of terrorism from an international rather than domestic perspective, also created a new section committed to investigating and terrorist networks and works very closely with its counterparts in the FBI (Roth, et al., 2004). Even further, the US Treasury Department also developed its own program, the Terrorist Finance Tracking Program (TFTP) to “identify, track, and pursue terrorists – such as Al-Qaeda – and their networks” (US Department of the Treasury, 2012 n.p.) .The TFTP thrives primarily on the SWIFT-Agreements between the US and EU (US Department of the Treasury, 2012). The Bush Administration made it a priority to target and freeze assets of Al Qaeda and its supporters, creating scores of public lists to promote the importance of targeting terrorist financing. These efforts were effective as in just weeks, the international community sprang into action with 100 nations drafting legislation concerning CTF (Roth et al., 2004). One of the centerpieces of the US framework to counter terrorist financing is in Title III of the PATRIOT Act passed in 2001, otherwise known as The International Money Laundering Abatement and Anti-Terrorism Financing Act of 2001. The act provides for enhanced regulations on financial institutions including a “know your customer” requirement and stricter reporting obligations. Further the act identifies jurisdictions that are of potential concern and gives authority to the Secretary of the Treasury to investigate. Title III also focuses on eliminating bank secrecy to increase transparency in the US and insists that foreign banks do the same in their own countries. While Title III increased regulation, enhanced policy controls over correspondent bank accounts, and increased the criminal penalties of money laundering and terrorist financing, without international cooperation on this front, the provisions will have little effect on global terrorist financing networks (Baldwin, 2002). What really makes US efforts to combat terrorist financing effective is interagency cooperation. Headed by the National Security Council and coordinated by the Policy Coordination Committee, the framework combines the FBI, Secret Service, CIA, and Departments of Justice, Treasury, and Homeland Security with less obvious ones that target international crime as an avenue to fight terrorist financing. For example, the IRS supports investigations of links between terrorist groups and money laundering schemes and can specifically aid in identifying the transfer of funds from charities. The Bureau of Customs and Border Protection specifically handles border inspections to intercept illegal materials entering or exiting the country, thus aiding in combating narco-terrorism. The Bureau of Immigration and Customs Enforcement (ICE) aids CTF efforts by investigating financial crime. Specifically following 9/11 the ICE initiated Operation Green Quest to address terrorist financing. While Operation Green Quest is no longer in place, the ICE still plays a significant role in countering terrorist financing through its jurisdiction over financial crimes such as smuggling bulk currency, export of weapons, drug smuggling, and unlicensed money transmitters. Then there’s the Bureau of Alcohol, Tobacco, Firearms, and Explosives (ATF), which added the term Explosives to its name only in 2003 when it was transferred to the Department of Justice. The ATF participates in task forces targeting terrorist financing and aids in tracking movement of weapons and explosives. Specifically the ATF works to prevent money from illegal alcohol sales and contraband cigarettes from getting to terrorist organizations. Finally, the Drug Enforcement Administration (DEA) is particularly important given the increase in narco-terrorism. The work that the DEA does explicitly and implicitly aids CTF efforts as the DEA targets activities involving narcotics whose profits may or may not end up in the hands of terrorist organizations (Weiss, 2005). By targeting terrorist financial activity through agencies focused on international crime and drug trafficking, the US has positioned itself to target sources of funding through unique and better-equipped channels. The United States’ primary international cooperation efforts involve the EU, its strongest partner in combating terrorist financing, despite some difficulties. The US and EU cooperate on several levels of CTF through international forums like that of the FATF, but the cornerstone of their collaboration (and difficulty) is in the SWIFT, Society for Worldwide Interbank Financial Telecommunications agreement. The agreement allows the TFTP to access financial data from the SWIFT bank system based in Belgium. According to Kristin Archick (2012) “US Authorities have shared over 1,550 leads resulting from the SWIFT data with European governments and many of these leads have helped in the prevention or investigation of terrorist attacks in Europe.” (p. 5). However, the SWIFT agreement has also become a source of controversy with European concerns regarding the personal data of their citizens. Following a long negotiation process, a new SWIFT agreement was approved by the European Parliament in 2010 that allows Europol to reject US requests for data and provides for an observer from the European Commission to oversee use of SWIFT data. In addition, it requires the EU to develop plans for its own Terrorist Finance Tracking Program so that it can better control the data it sends to the US (Archick, 2012). Beyond the SWIFT agreement, the US and EU continuously share intelligence to increase the accuracy and scope of their respective lists of individuals and organizations complicit in or associated with acts of terrorism. Still, some differences still exist between the two lists, the consequences of which will be explored in later sections (Archick, 2012). Much of the other regional efforts for cooperation on CTF matters are based on compliance with FATF and UN measures discussed above. Most regional organizations such as the African Union (AU), Organization of American States (OAS), Association of Southeast Asian Nations (ASEAN), etc. call for strengthening of measures to fight counter-terrorism finance in their regional strategies. Some specifically call for compliance with FATF recommendations and/or the relevant UN conventions (“Inter-American Convention Against Terrorism,” 2002; “ASEAN Convention on Counter-Terrorism,” 2007; “OAU Convention on the Prevention and Combating of Terrorism,” 1999). The most highly organized network of regional cooperation in CTF lies in the FATF-style regional bodies (FSRBs). Currently there are nine FSRBs in Europe, the Middle East and North Africa, the Caribbean, Eastern and Southern Africa, West Africa, South America, and Asia Pacific, and one body made up of Offshore Banking Supervisors (Gardner, 2007). Together approximately 100 countries participate in FSRBs in their regions. FSRBs are particularly effective because they aid the FATF by expanding membership and compliance by region while being able to cater to the needs of that specific region. Compliance is more likely because the member states of each regional body are actively involved in its formation and function (Thacker Kumar and Campbell, 2009). The Asia-Pacific Group on Money Laundering (APG) is particularly close to the FATF as expressed by then-FATF president Paul Vlaanderen in a 2009 Speech opening the 12th APG Annual Meeting (Asia Pacific Group on Money Laundering [APG], 2012b). All but three countries, Laos, Burma, and Vietnam who remain observers, are members of the APG (Croissant and Barlow 2007), while there are ten countries that are both members of the APG and FATF (APG, 2012a). The establishment of FSRBs in Eurasia and the Middle East and North Africa are distinctly important because they expand the influence of the FATF to two strategic regions vital to the fight against terrorist financing (Gardner, 2007). The international and regional network combating the financing of terror has been only moderately successful, despite the elaborate framework in place. As of 2006, 170 countries have passed legislation against international terror groups and $147 million in assets have been frozen since 2001 (Clunan, 2006; Dalyan, 2008; Verdugo-Yepes, 2009) with $65 million in assets seized as of 2005 (Dalyan, 2008). 154 states have ratified the 199 UN Convention on Suppression of Terrorist Financing (Clunan, 2006) and 123 states have criminalized the finance of terror. Many states have increased regulation and transparency of bank activities and the World Bank and IMF have agreed to assist states with compliance with FATF standards (Dalyan, 2008). But while international cooperation efforts and have produced some progress and results, activity and enforcement of measures has stagnated. According to Dalyan (2008), in the months immediately following 9/11, $112 million in terrorist funds were frozen internationally while in the two years that followed, the number dropped to just $4 million. Today, despite concerted international and regional efforts, the success in the current battle against financing of terror has been relatively superficial (Clunan, 2006; Dalyan, 2008). The United States is doing a strong job unilaterally. As of December 2011, the US has blocked over $21 million dollars to organizations like Al Qaeda, Hamas, and Palestinian Islamic Jihad while they substantially increased the number of funds blocked from Hezbollah. Almost $400 million in funds have been blocked from the countries the US considers state-sponsors of terror, Cuba, Iran, Sudan, and Syria (Office of Foreign Assets Control, 2011). The US has always played a large role in countering terrorist financing. In 2004, of the $9 million increase in asset freezes, the US was responsible for $8 million (Levi, 2010). However, despite the impressive record of the United States in unilaterally blocking and freezing terrorist funds, as a world power, it has done little to promote global cooperation. The US has refrained from becoming actively involved with the UN Counter-Terrorism Committee and other UN instruments, instead only employing those tools when necessary for US national interests. Overall the US policy on CTF has favored bilateral and regional cooperation over actively supporting the international network, unlike the European Union that addresses the challenge of terrorism and financing of terror through a broader lens (Clunan, 2006). Meanwhile, the success of the EU in combating terrorist financing networks has proven difficult to assess according to Bures (2010). Bures (2010) further notes that there is a lack of publicly available data on the number of assets frozen or blocked. However, he indicates that the EU has been able to effectively target groups and persons on the UNSCR 1267 Al Qaeda Sanctions list but has had less success with groups outside of Al Qaeda and the Taliban. Despite the complex and thorough framework set up by the EU in order in the area of CTF, the United States still maintains more success in terms of implementation and enforcement (Bures, 2010). EU cooperation, while on the surface largely successful, has produced only mediocre results. According to Gardner (2007), it is also difficult to evaluate the success of the FATF. There is no doubt that the FATF has become the most successful agent facilitating international cooperation and action against terrorist financing, but still the organization suffers from inconsistent to weak compliance and implementation, even with the establishment of FSRBs. The FATF’s Mutual Evaluation process, which allows nations to evaluate the compliance, implementation, and effectiveness of FATF standards of one another as peers, has helped to increase compliance (Beekarry, 2011). It also allows officials and researchers to assess implementation of recommendations (Verdugo-Yepes, 2009). In addition, The NCCT system has been successful in improving compliance of designated non-cooperative countries (Gardner, 2007). Because of the pressure inherent in the NCCT process, many countries are inclined to pass the necessary legislation (Gardner, 2007). Whether there is effective implementation of that legislation is another matter entirely. Gardner (2007) suspects that the NCCT will slowly lose steam and effectiveness in the future. She explains that the NCCT does not take into account the Nine Special Recommendations on terrorist financing in its evaluations, which suggests that the process is outdated. Additionally, because the US has changed its focus from the FATF and therefore the NCCT, to its own Departments such as that of Homeland Security, the process has begun to slow down in numbers of countries added to the list. Finally, Gardner (2007) notes that the IMF and World Bank have begun to move away from “naming and shaming” tactics and toward capacity building. When it comes to compliance, although the processes discussed above have improved the degrees of compliance of states, it is still weak. A study by Haigner, Schneider and Wakolbinger (2012) concludes that higher or lower compliance levels with FATF recommendations depends on three variables: whether or not the country has an advanced economy, strength of domestic governance and corruption control, and efficiency of the banking sector. Additionally, State behavior is not always consistent and compliance may be induced by some other political interest rather than simple desire to comply (Beekarry, 2011; Gardner, 2007). But even though states may comply, implementation and enforcement are another challenge. Often laws regulating terrorist financing networks exist on paper but are not enforced (Verdugo-Yepes, 2009). Despite success in certain areas and in organizational structure, overall FATF compliance is low according Haigner, et al. (2012) at an average of 56.8% among members and nonmembers. Beyond issues of compliance, the FATF continues to struggle on an institutional level. A major problem of the FATF that hinders its effectiveness is the lack of accountability and transparency. Because the FATF was established by the G7 and only retains 34 members (originally it had just 15), it reflects the interests of a small group of developed countries applying standards to states not represented. This democratic deficit dangers the legitimacy of the FATF as a global leader against money laundering and countering terrorist finance networks as not all countries involved have a say in decision-making (Beekarry, 2011). Additionally, because the FATF is controlled largely by developed countries, developing nations are often at a disadvantage, especially when it comes to information storing (Thacker Kumar and Campbell, 2009). Although the mutual evaluation process has increased transparency, it is still an issue as decision-making is done internally and secretly without the input of all those affected (Beekarry, 2011). Finally, FATF representatives are not liable to the states that they represent, therefore freeing the FATF as an organization from accountability (Thacker Kumar and Campbell, 2009). Over the years the FATF has tried to rectify these issues by developing stronger connections with internationally inclusive organizations like the IMF and World Bank and expanding its membership from the original 15 to 34, including some developing countries like Mexico and China. The organization still maintains exclusivity but the creation of FSRBs has helped to engage those countries not able to actively participate in the creation of norms in the FATF (Beekarry, 2011). While the FATF remains the strongest international body fighting ML/TF in the globe, it still suffers from low compliance and questionable effectiveness while battling its own internal institutional challenges. In order to actively improve international cooperation efforts combating terrorist financing, the challenges to the current levels of cooperation must be identified. In this study, I identify three challenges that hinder more coordinated international CTF efforts: conflicting political interests, divergent perceptions of the threat and definition of terrorism, and state capacity to implement international measures. With no real mechanism for enforcement, compliance with and implementation and enforcement of UN Resolutions and FATF recommendations is dependent on states’ capability and political will. Unfortunately, political will is often missing or inconsistent, thus hindering the effectiveness of international cooperation to fight terrorist financing. Anne Clunan (2006) defines the problem as one of collective action. While most states have a direct interest in the breakdown of terrorist financing networks and acted upon it following the 9/11 attacks, those interests often compete with other pertinent national interests. According to Clunan (2006), states also have an incentive to pass the costs of maintaining a CTF regime off to others, thus producing a free rider effect and lack of sustained collective action in CTF efforts. Lack of collective action is not just a result of a free rider problem but of conflicting political interests. This is particularly evident in the relationship between the US and EU. Although the EU and US have demonstrated continued cooperation through the SWIFT agreement, they have maintained some differences due to political interests. For example, there are a few discrepancies in their respective designated terrorist lists. Specifically concerning Hezbollah, the EU has thus far refrained from putting the organization on its list for fear of damaging its political relations with Lebanon as many Lebanese consider Hezbollah to be a legitimate political group. The US, on the other hand has designated Hezbollah as a terrorist organization (Archick, 2012). US political and economic interests also prevent it from taking the necessary steps to target terrorist finance networks, particularly concerning Islamic charities in Saudi Arabia that fund Al Qaeda. The US must in some way address the problem of Saudi Arabian charities, as they constitute a significant source of funding for Al Qaeda. The US should apply both economic and diplomatic pressure to the Saudi government to increase regulation and oversight of these organizations (Basile, 2004) but instead is careful with the application of this pressure because of Saudi Arabia’s position as the largest oil producer and because of America’s dependence on Saudi market price controls on oil (Waszak, 2004). Political interests also serve as a challenge within regional organizations. For example, in the EU, individual member states pursue their own national interests that may impede their ability to comply with standards. Keohane (2008) discusses a paradox in EU counterterrorism efforts that has member states agreeing in concept on EU-level cooperation but in practice not allowing the Union the power to do so. Keohane (2008) further explains that member states hesitate to give powers that affect national security to the EU because it could interfere with protection of citizens. Therefore, individual member states will cooperate bilaterally or multilaterally instead. The G6 (Germany, Poland, Spain, the UK, and France) meet to discuss counter-terrorism efforts while Britain and Ireland coordinate closely on tracking IRA operatives (Keohane, 2008). In regions like Southeast Asia, the political interests reflect not that of the nation but of corrupt politicians. Governments like those in the Philippines and Indonesia, both members of the Southeast Asian FRSB, Asia Pacific Group on Money Laundering, do not readily comply with money laundering and counter terrorist financing standards because of the corruption of leaders (Croissant and Barlow, 2007). Different countries or regional bodies and their member states also have differing degrees of compliance due to differing perceptions of the threat of terrorist financing. On a general level, the EU and US perceive and define the threat of terrorism differently. EU texts refer to terrorism as “criminal acts” (Jackson, 2007, p. 238) and to a “fight” or “struggle” against terrorism (Jackson, 2007, p. 239). The US on the other hand very clearly defines acts of terror as “acts of war” (Jackson, 2007 p. 238) and is publicly engaging in a global “war on terrorism” (Jackson, 2007, p. 239). Jackson (2007) specifies that the EU strategy is more based on law enforcement and cooperation while the US is committed to a forceful potentially unilateral response to global terrorism. This distinct discrepancy in the counter-terrorism discourse of two major entities fighting terror does not bode well for international cooperation efforts. Specifically in the sphere of Counter-Terrorism Financing, Clunan (2006) explains how the discrepancy of the definition of the problem of terrorism and terrorist financing presents a fundamental disagreement on how to approach CTF. The EU promotes a multilateral international approach to CTF emphasizing technical assistance and encouragement to implement global standards set by the UN and FATF. Meanwhile, the US emphasizes an intelligence-based approach focusing on targeting assets and tracking finances of terrorists and prefers bilateral and smaller multilateral collaborations, indicating a more warlike stance. According to Clunan (2006), “the differences between the United States and the Europeans over priorities and domestic costs are significant enough to impede collective action to create a robust counter-terrorist-financing regime” (p. 582). Without a common perception and definition of the problem, the US and EU will be unable to prevent terrorist networks from entering into global markets. Even within regional organizations, the perceptions of terrorism of individual states differ, which reflect subsequent compliance and implementation of laws and standards. The EU is a prime example of this phenomenon. The EU’s compliance and implementation record is spotty and inconsistent due to different motives and perceptions of the terrorist threat. 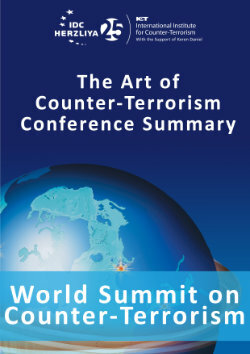 Countries like the UK, Spain, and France, that have experienced terrorism and threats of terrorism tend to take a more hands on approach in implementing and enforcing counterterrorism measures whereas other countries in the Union, that have not experienced any attacks, may choose to list countering terrorist financing networks lower on their list of national priorities (Bures, 2010). The most obvious indicators that illustrate the differences in perceptions of terrorism globally are the lists of designated terrorist groups. The UN, EU, US, and UK all maintain their own lists with some but little coordination between them (Verdugo-Yepes, 2009). Even member states within the European Union have their own lists of terrorist that do not line up with the official list at the EU level (Bures, 2010). With the varying lists of targeted groups and individuals, international cooperation becomes more complicated and inefficient with each organization or state targeting its own perceived priorities instead of broad global ones. This too, affects private financial institutions involved in CTF. Lacking an accepted idea of what is or is not a terrorist organization, banks cannot properly implement CDD or KYC provisions. Overall, the difficulty of varying perspectives on the threat and problem of terrorism financing is one of the greatest challenges to international cooperation. Without a uniform perception and definition of this threat as a priority issue, cooperation will continue to stagnate (Verdugo-Yepes, 2009). A more obvious challenge, but perhaps one that is more difficult to overcome, is state capacity. There are, of course, states that are able but unwilling to implement and enforce CTF measures, but there are also nations that are willing but unable to do so. They simply do not have the capacity to implement CTF regimes or to regulate terrorist finance activity in their territories. This explains why FATF compliance suffers in low or middle-income countries particularly with the more costly recommendations (Clunan, 2006). Many poorer states view the UNSC binding resolutions as a financial burden and they cannot fully comply with international standards without coordination between international bodies to assist them. (Verdugo-Yepes, 2009). Even in the European Union, not all individual member states have the capacity to maintain a CTF regime. Bures (2010) explains that there are certain member states that do not have their own national asset freezing arrangements and so are unable to comply with FATF Special Recommendation III that calls for the immediate freeze of terrorist assets. Lack of capacity is most common in developing regions such as Southeast Asia. Governments may be ineffective or subject to heavy political pressure. In addition, corruption, particularly in the Philippines and Indonesia, drains the capacity of the government to effectively implement CTF measures. Further, developing countries often suffer from administrative lag to implement certain laws and regulations but lack the resources necessary to make administrative improvements that would speed up the process and effectiveness. Burma, Cambodia, Indonesia, and the Philippines all suffer in this regard making Southeast Asian regional efforts to counter terrorist financing arduous and slow (Croissant and Barlow, 2007). Ultimately, in order to improve the effectiveness of global cooperation initiatives to combat terrorist financing, a stronger and more uniform international framework must be established. A partial approach is ineffective because the gaps are vulnerable to exploitation by terrorists; a truly global approach is necessary for success (Clunan, 2006). However the world is still in the process of finding the right strategy to implement and enforce such an international regime. Though there has been some progress, the international community has a long way to go to overcome the challenges of cooperation in CTF measures. Still, there are steps that the states and organizations that make up the current regime can take to improve cooperation and overall results in CTF. The first and most important step is to establish a common definition of terrorism. The UN has failed consistently to establish a uniform and accepted definition of terrorism, which has clearly hindered international cooperation in counter-terrorism as a whole and specifically in counter-terrorist financing. Without a common definition of terrorism and the problem of terrorist financing, countries will continue to take divergent approaches to the problem instead of opting for cooperation (Clunan, 2006; Dalyan, 2008; Verdugo-Yepes, 2009). Next, one of the weaknesses of the current regime is that the framework does not always accommodate the differing needs of states. For example, a weak or failing state will have a far different attitude toward terrorism and counter-terrorism than a developed state (Verdugo-Yepes, 2009). While the IMF, World Bank, and FATF provide technical assistance to states that cannot independently implement recommendations (Thacker Kumar and Campbell, 2009), the recommendations are still burdensome to those states and still reflect the interests and capacities of a few developed countries (Verdugo-Yepes, 2009). More needs to be done to accommodate the differing attitudes toward counter-terrorism and specifically CTF efforts of states either through stronger regional cooperation or international adjustments to the policies of the current framework. Another necessary step is to close the gap between counter-terrorism and international crime regimes. Terrorist organizations, with their involvement in the international drug trade and other illicit financial activities, can be more effectively fought with the aid of international crime-fighting organizations. While anti-money laundering and counter-terrorism measures are grouped together, the initiatives to create and implement measures are still relatively separate (Dalyan, 2008). The United States has created an effective framework combining the strengths of different departments and organizations like the DEA and ATF that wouldn’t typically be involved in homeland security (Weiss, 2005). This kind of framework now needs to be created on the international level to more efficiently and effectively address terrorist financing networks. As a major player in the global war on terror, the United States must become more actively invested in international CTF efforts rather than focusing on unilateral or bilateral ones and must throw its operational support behind an international framework (Clunan, 2006; Basile, 2004). With the United States committed to a global framework, other states may follow suit and ultimately strengthen cooperation. Finally, while cooperation has shown strength across security, police, and government lines when it comes to information sharing, broader information sharing between these fields is weak. Private cooperation is just as important as public cooperation and there must be cooperation between them (Verdugo-Yepes, 2009). Terrorism and its financing is an interdisciplinary phenomenon and must be addressed through an interdisciplinary lens. Stronger information sharing networks must be created to allow information flow between security, police, private, political, and academic spheres to make for more comprehensive cooperation and transparency. Terrorist financing networks are often illusive and find ways to slip through the global cracks. With a strong international regime to fight terrorist financing networks, the international community can hope to limit or even eliminate those areas of vulnerability and effectively target terrorist organizations at their sources. This study has provided a general overview and assessment of international and regional efforts but further investigation needs to be done to assess the damage that terrorist organizations have incurred to their financial networks to more accurately assess the success of these efforts. Further research is also needed to fully assess the effectiveness of the current frameworks quantitatively, as data is not consistently available. Lastly, the challenges examined here are not the only ones facing the international community in forming an effective CTF regime and others must be identified and addressed as well. In the fight against global terrorism, CTF is one of the most important arenas and it requires well-coordinated international cooperation to succeed. Today’s framework, while elaborate and impressive on the surface, has produced underwhelming and inconsistent results. By addressing the challenges facing cooperation efforts, a newer and stronger regime can emerge to effectively combat terrorist financing and pave the way for future cooperation in other areas within global counter-terrorism. Archick, K. (2012). US-EU cooperation against terrorism. Washington D.C.: Congressional Research Service. Baldwin, F. (2002). Money Laundering countermeasures with primary focus upon terrorism and the USA Patriot Act 2001. Journal of Money Laundering Control, 6(2), 105-136. Bantekas, I. (2003). The international law of terrorist financing. The American Journal of International Law, 97(2), 315-333. Basile, M. (2004). Going to the source: Why al qaeda's financial network is likely to withstand the current war on terrorist financing. Studies in Conflict and Terrorism, 27(3), 169-185. Beekarry, N. (2011). The international anti-money laundering and combating the financing of terrorism regulatory strategy: A critical analysis of compliance determinants in international law. Northwestern Journal of International Law and Business, 31(1), 137-194. Bures, O. (2010). EU's fight against terrorist finances: Internal shortcomings and unsuitable external models. Terrorism and Political Violence, 22(3), 419-438. Clunan, A. L. (2006). The fight against terrorist financing. Political Science Quarterly, 121(4), 569-596. Croissant, A., & Barlow, D. (2007). Following the money trail: Terrorist financing and government responses in southeast asia. Studies in Conflict and Terrorism, 30(2), 131-156. Dalyan, S. (2008). Combating the financing of terrorism: Rethinking strategies for success. Defense Against Terrorism Review, 1(1), 137-153. Ganor, B. (2005). The counter-terrorism puzzle: A guide for decision makers. Piscataway, New Jersey: Transaction Publishers. Gardner, K. L. (2007). Fighting terrorism the FATF way. Global Governance, 13(1), 325-345. Haigner, S. D., Schneider, F., & Wakolbinger, F. (2012). Combating money laundering and the financing of terrorism: A survey No. Economics of Security Working Paper 65). Berlin: Economics of Security. House of Lords, European Union Committee. (2009). Money laundering and the financing of terrorism No. 19). London, England: London: The Stationary Office Limited. International Monetary Fund and World Bank. (2006). Anti-money laundering and combating the financing of terrorism: Review of the quality and consistency of assessment reports and the effectiveness of coordination., 1-66. Jackson, R. (2007). An analysis of EU counterterrorism discourse post-september 11. Cambridge Review of International Affairs, 20(2), 233-247. Kaunert, C., & Della Giovanna, M. (2010). Post-9/11 EU counter-terrorist financing cooperation: Differentiating supranational policy entrepreneurship by the commission and the council secretariat. European Security, 19(2), 275-295. Keohane, D. (2008). The absent friend: EU foreign policy and counter-terrorism. Journal of Common Market Studies, 46(1), 125-146. Levi, M. (2010). Combating the Financing of Terrorism: A history and assessment of the control of ‘Threat finance’. Terrorism: Criminological Perspectives, 50(4), 650-669. Office of Foreign Assets Control. (2011). Twentieth annual report to the congress on assets in the united states relating to terrorist countries and international terrorism program designees No. 20). Washington D.C.: US Department of the Treasury. Passas, N. (2006). Setting global CFT standards: A critique and suggestions. Journal of Money Laundering Control, 9(3), 281-292. Pieth, M., & Aiolfi, G. The private sector becomes active: The wolfsberg process., 1-9. Raphaeli, N. (2003). Financing of Terrorism: sources, methods, and channels. Terrorism and Political Violence, 15(4), 59-82. Roth, J., Greenburg, D., & Wille, S. (2004). Monograph on terrorist financing: Staff report to the commission. National Commission on Terrorist Attacks Upon the United States. Thacker Kumar, L., & Campbell, J. R. (2009). Global governance: The case of money laundering and terrorist financing. Oxford, U.K.: Forum on Public Policy: A Journal of the Oxford Roundtable. The Wolfsberg Group. (2002). Wolfsberg statement on the suppression of the financing of terrorism. Switzerland: The Wolfsberg Group. United Nations Office on Drugs and Crime. (2009). Manual on international cooperation in criminal matters related to terrorism. Vienna: UNODC. US Department of State. (2011). Country reports on terrorism 2011 chapter 3: State sponsors of terrorism No. 8)US Department of State. Verdugo-Yepes, C. (2009). Challenges in strengthening the international regime to combat the financing of terrorism. Elcano Royal Institute's Working Papers, 9, 1-25. Waszak, J. D. G. (2004). Obstacles to suppressing radical islamic terrorist financing. Case Western Reserve Journal of International Law, 36(1), 673-710. Weiss, M. A. (2005). Terrorist financing: U.S. agency efforts and inter-agency coordination. Washington D.C.: Congressional Research Service.